Carmen is an actor, singer, theatre director, and a proud member of the professional actor unions: SAG-AFTRA and AEA. Carmen has appeared in film and television and performed in NYC, regional, cabaret, and summer stock theatre. 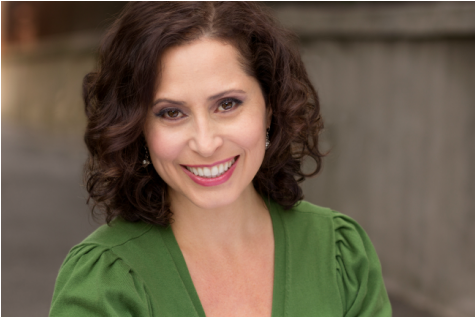 Her most recent performances includes the one-woman show You're Gonna Hear from Me at the Laurie Beechman Theatre with NP singing teacher Steven Silverstein (Musical Director) and NP acting teacher Mollie O'Mara (Director). Make sure to catch Carmen in her recurring role as Special Agent Bomb Tech on the new series FBI on CBS this season! Coming from this rich and varied background in formal acting training and professional work in the industry, Theatre Education is important to Carmen. She has ﻿taught at Rutgers University, NYCDA, Texas Institute for Arts in Education; and has led Meisner acting workshops for youths in NYC a﻿s well as in St. John, USVI and Texas. Carmen directed musicals at NYC’s Clinton School for Writers and Artists and recently directed one of the final plays, Twelve Angry Jurors, at the Neighborhood Playhouse. She holds a BA in Communications and Theatre from Texas A&MCorpus Christi and a MA in Theatre from Hunter College.